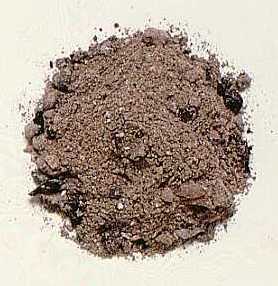 Wood Ashes (WA) at one time was an important source of Potassium in farming and horticulture. Now that there are much better sources of Potassium, WA has been relegated to the home organic garden as an organic fertilizer. WA contains between 4-10% Potassium, 2% Phosphorus, 25-50% Calcium, 1-3% magnesium and trace amounts of sulfur. WA can be used to increase soil pH, but a report from Ohio State University explains that it takes twice as much WA as lime to increase pH. So due to the light weight of WA, it would take considerable amount to increase the soil's pH to alkaline levels. WA as a fertilizer is very water soluble so its nutrient availability in the soil is fast acting. Caution: If your pH is at or above 7 caution should be used when using too much WA in your organic garden. If you use WA as a source of Potassium then it is a good idea to test your soil garden's pH yearly. What about Coal Ash as a Organic Fertilizer? Coal base ash is suspect unless you know the source. The concern with Coal Ash is the amount of metals that go into the compost and soil. But in saying this there is research that coal ash benefits compost and your organic soil by adding trace nutrients and raising pH. This is good in the Mid-west and Eastern U.S. but not in So California. The research also says that the weathering effect of the compost process actually minimizes pH effects of coal ash.